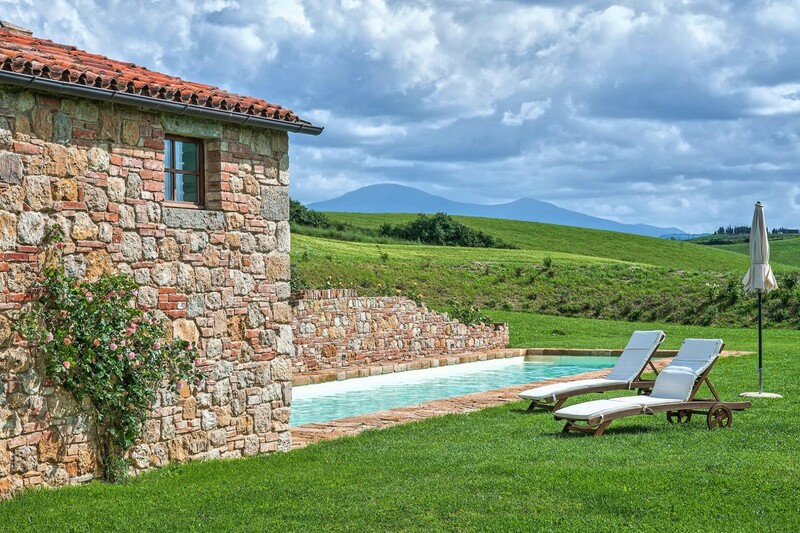 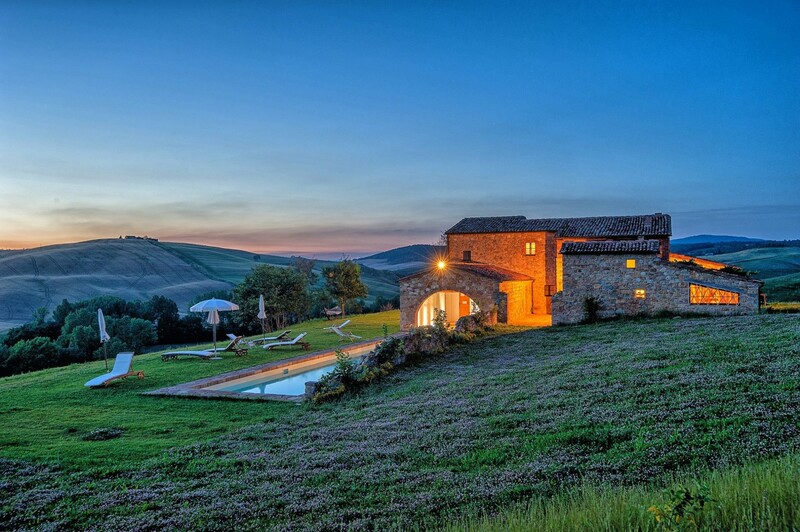 Nestled amongst undulating green hills and surrounded by vast azure horizons Casale Pienza is a treasure hidden in the serenity of the Italian countryside. 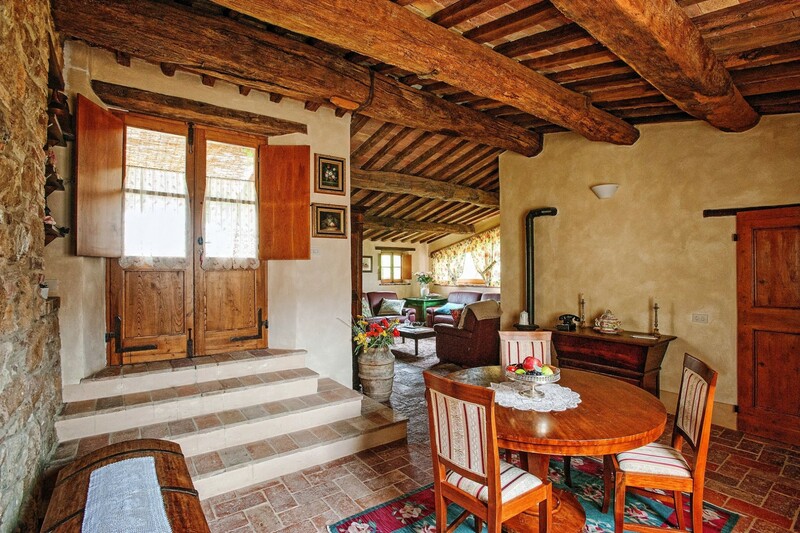 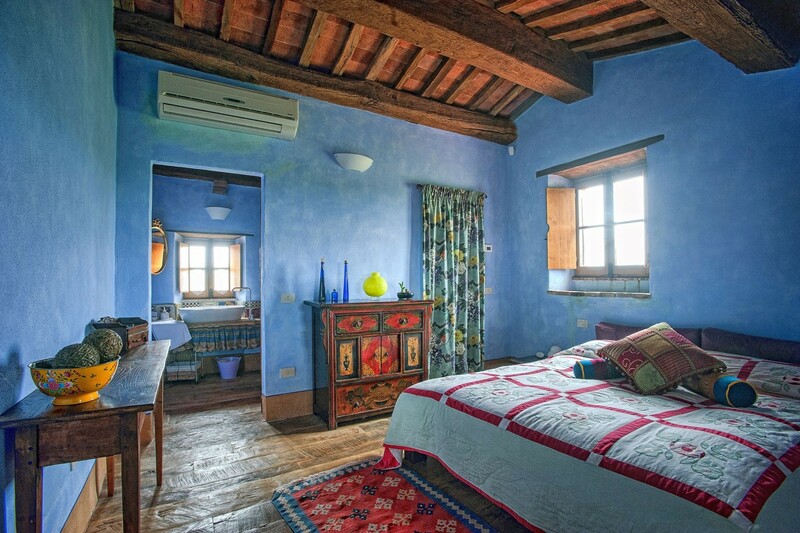 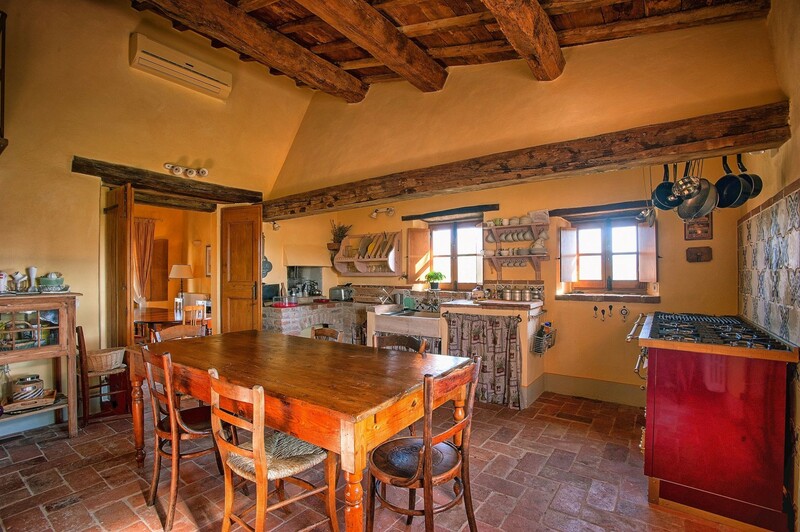 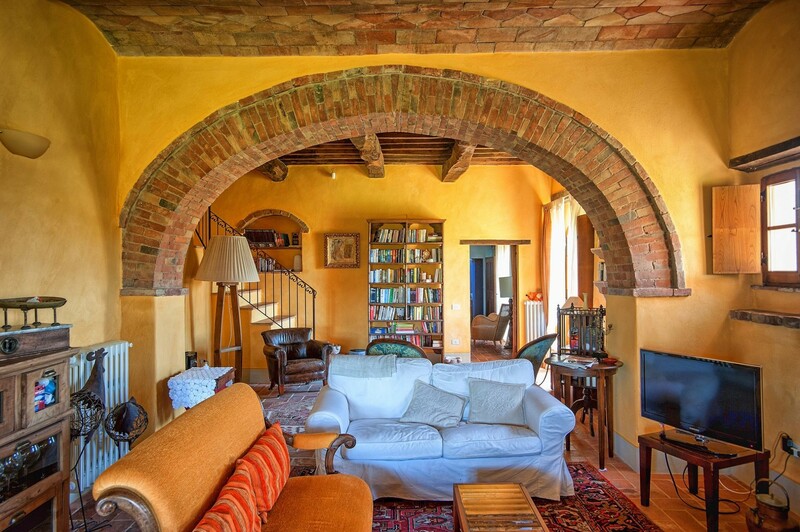 This 8 bedroom Italian holiday villa offers the stylish comfort one expects from the best holiday rentals combined with the rustic charm of a rural Italian villa. 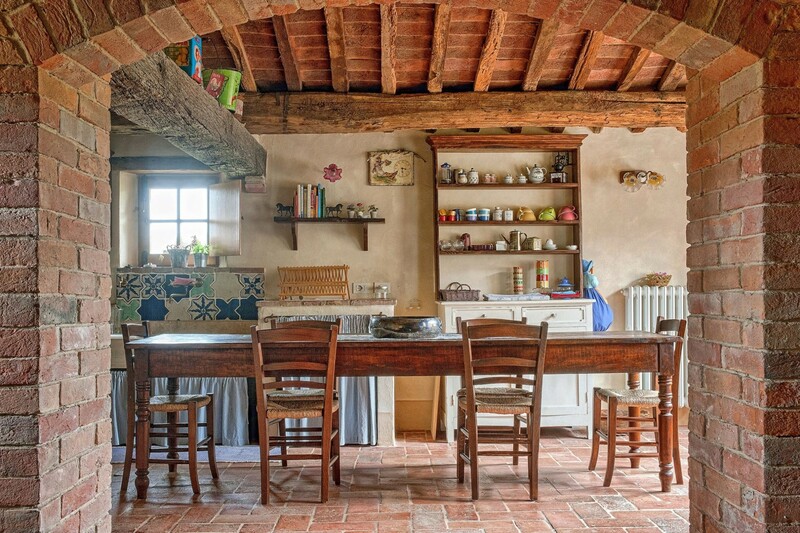 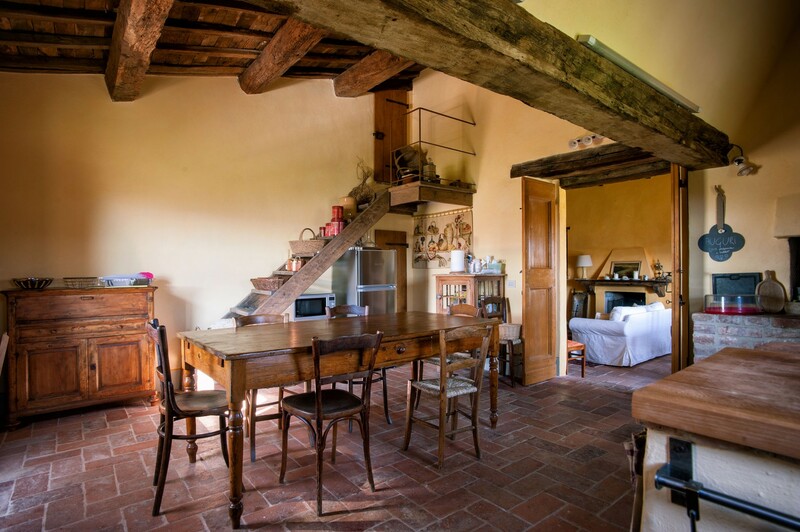 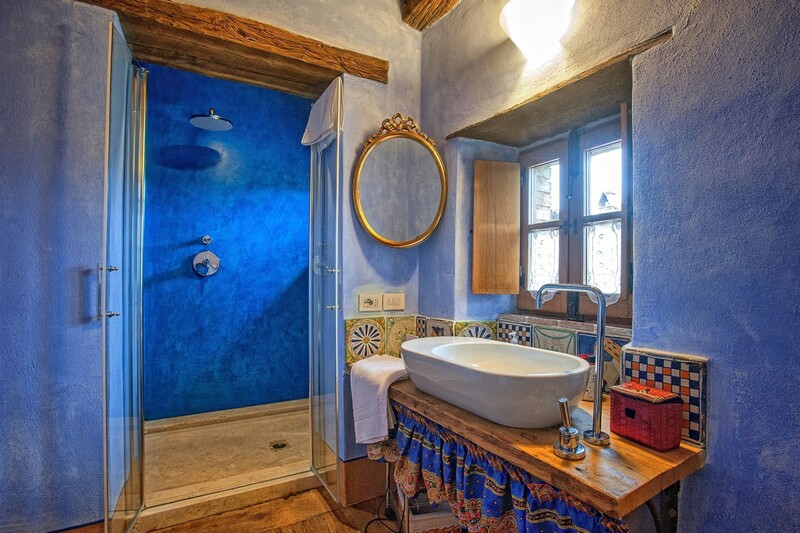 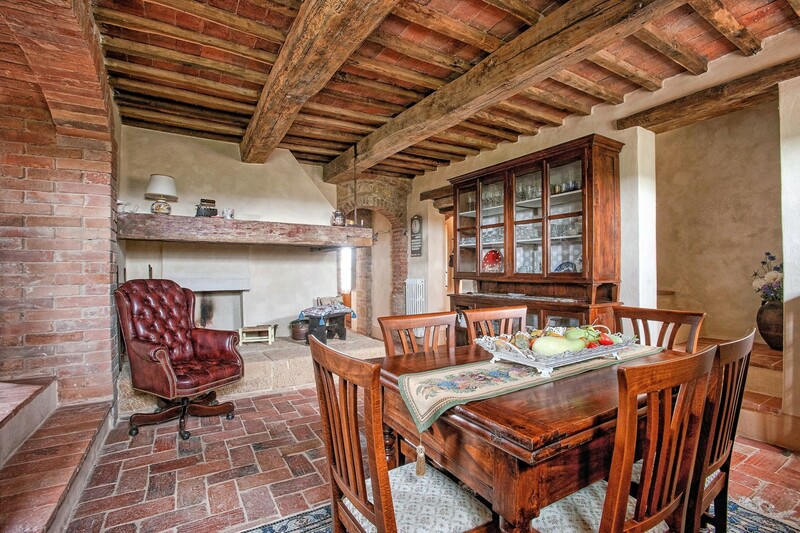 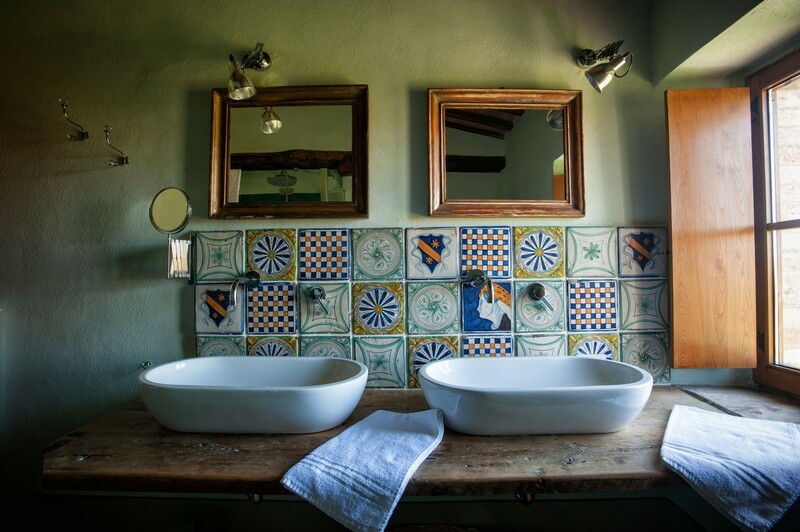 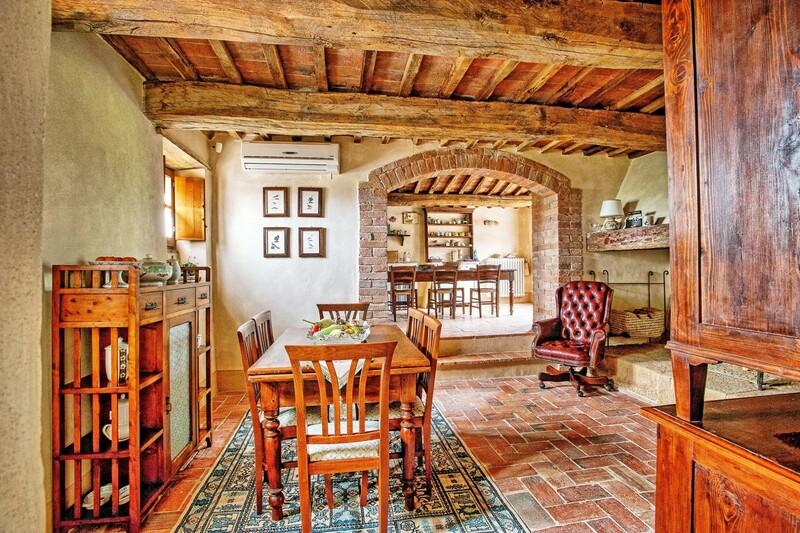 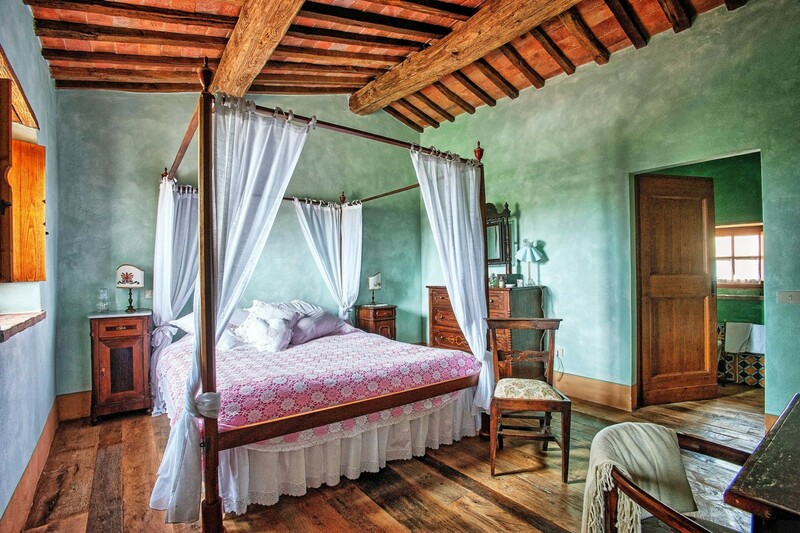 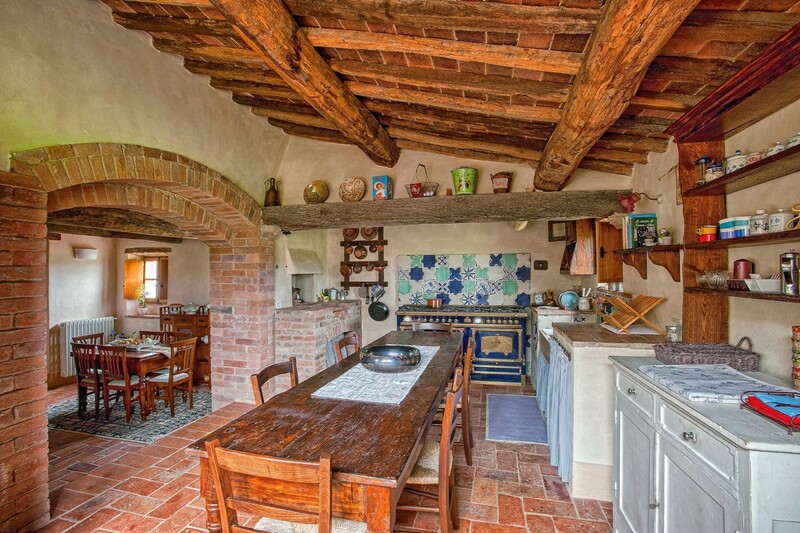 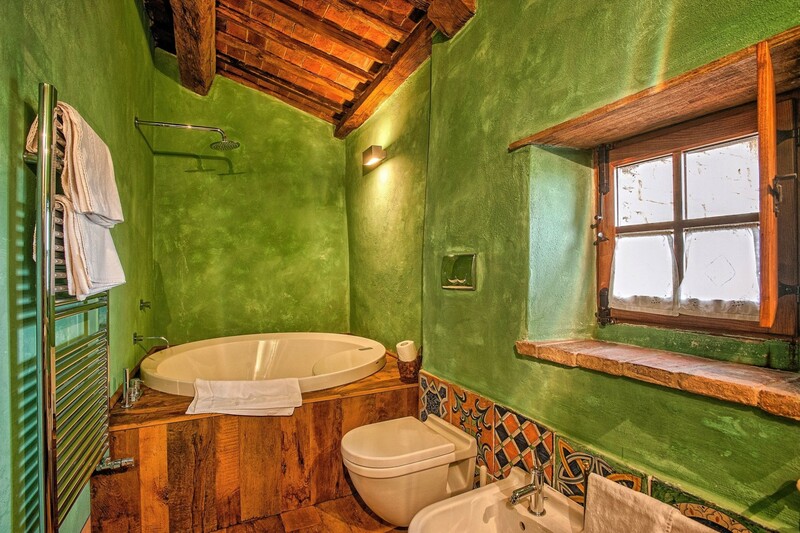 Blanketed in terracotta tiles, supported by exposed antique ceiling timbers of Italian oak, and constructed of the thick beige stone so typical of villas in Tuscany; the Casale Pienza holiday villa provides an authentic Italian farmhouse experience and is the perfect base from which to discover the provincial beauty of Tuscany. 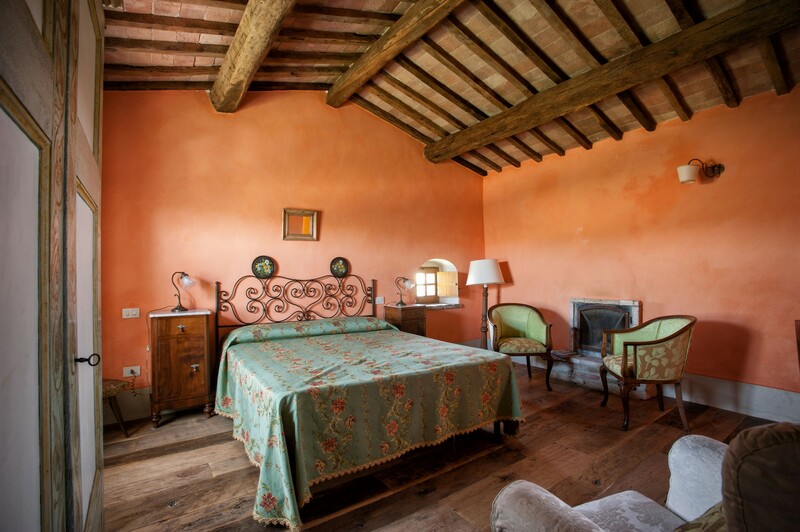 The villa within is filled with warm tones, antique-style Italian furniture, and has a warm and inviting feel to it. 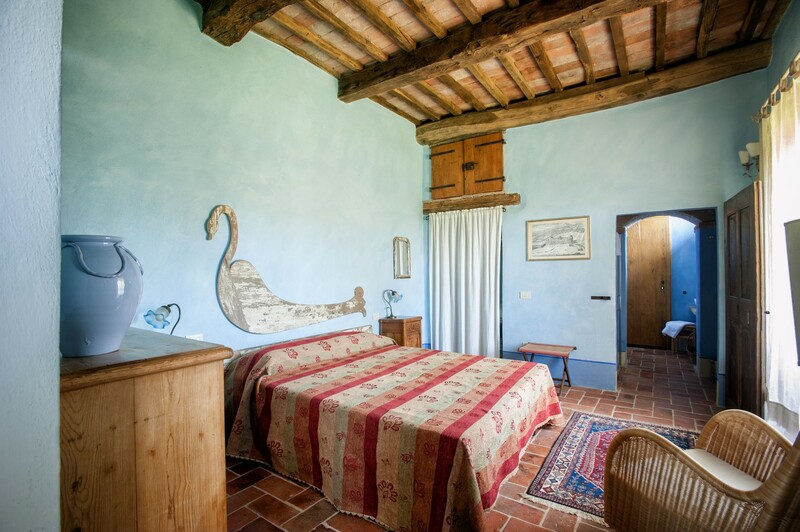 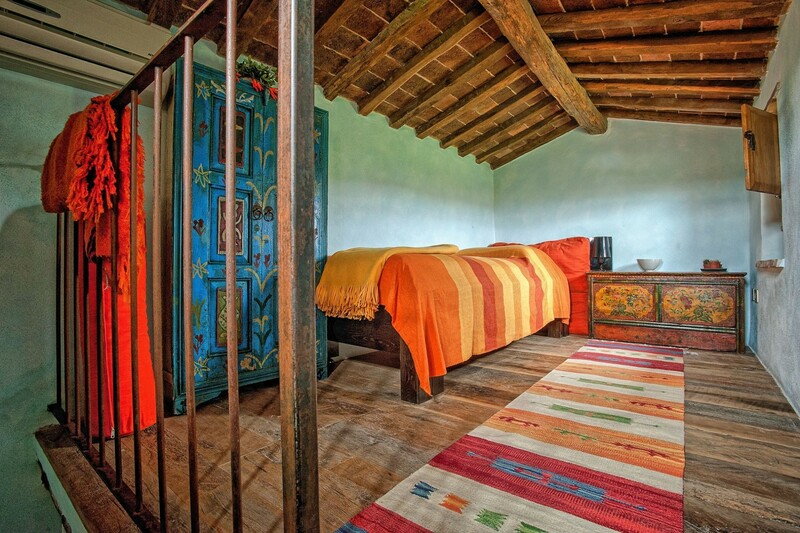 Each of the many bedrooms has its’ own character and feel and all are tastefully decorated. 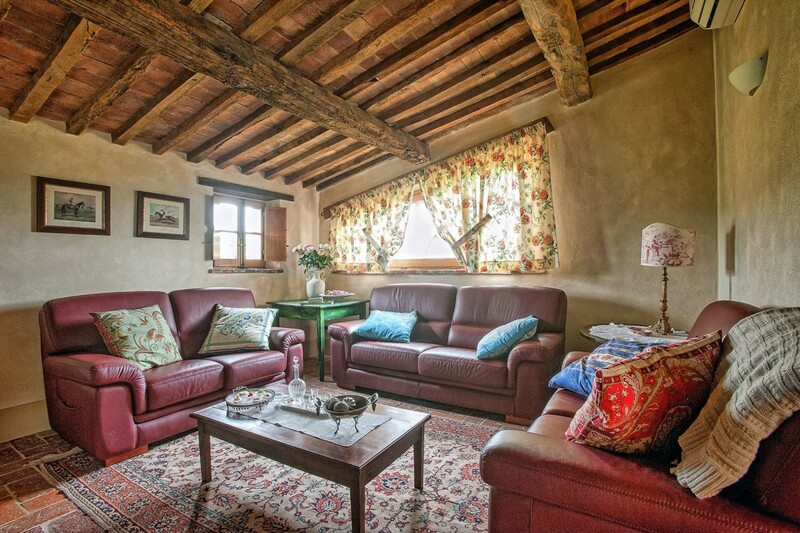 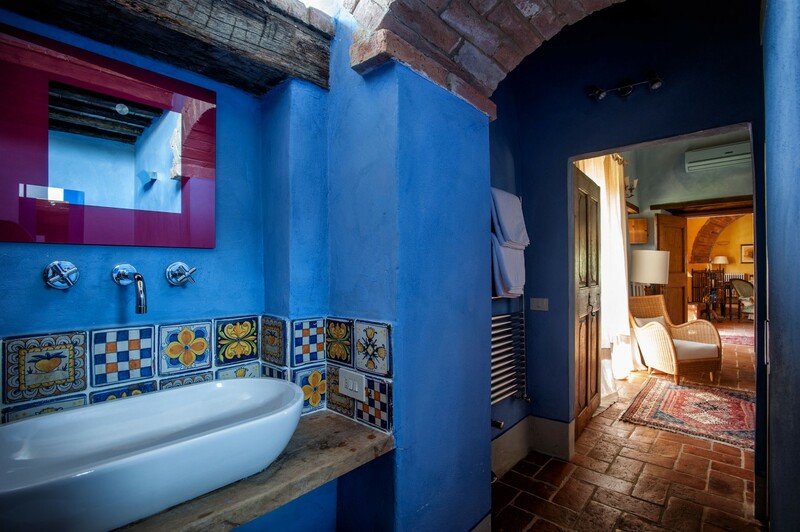 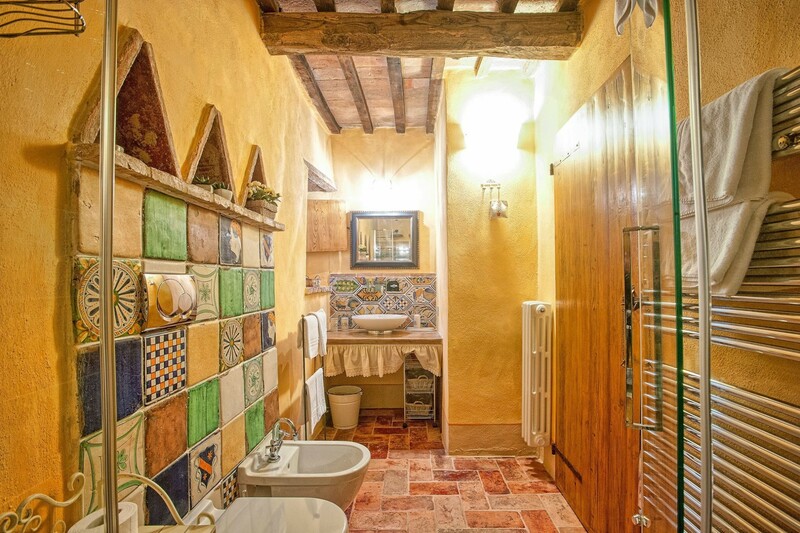 The house comfortably sleeps 14 so is perfect for a family holiday to Italy or as a romantic hideaway. 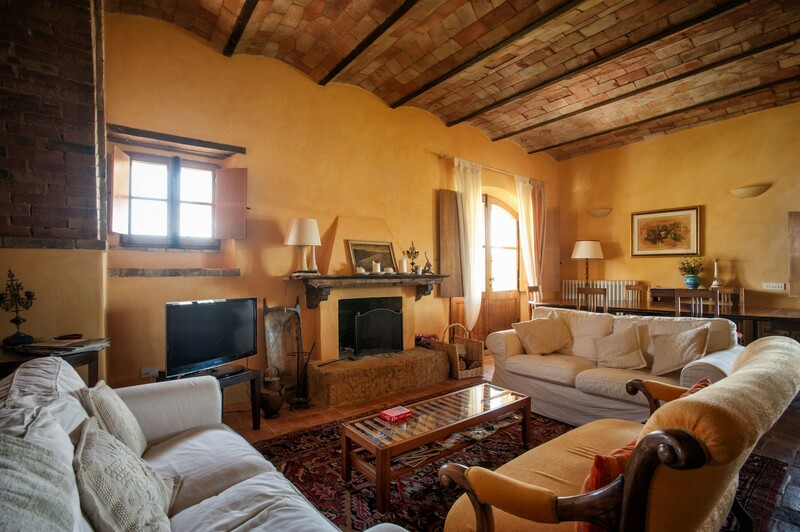 The lounge is furnished with large, comfortable leather sofas and is where you can watch TV after a day of exploring Tuscany. 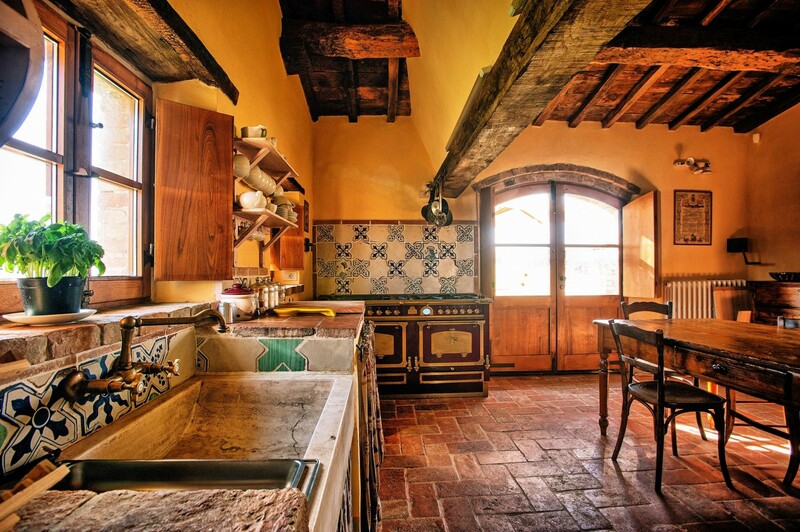 The villa’s kitchen has an elegant, antique-style range and all the facilities of home. 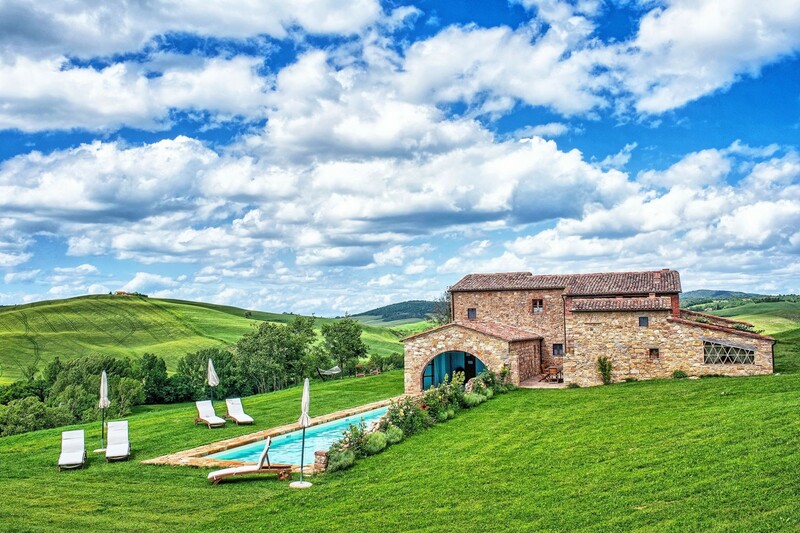 A private balcony overlooks the pool and out over the Italian landscape. 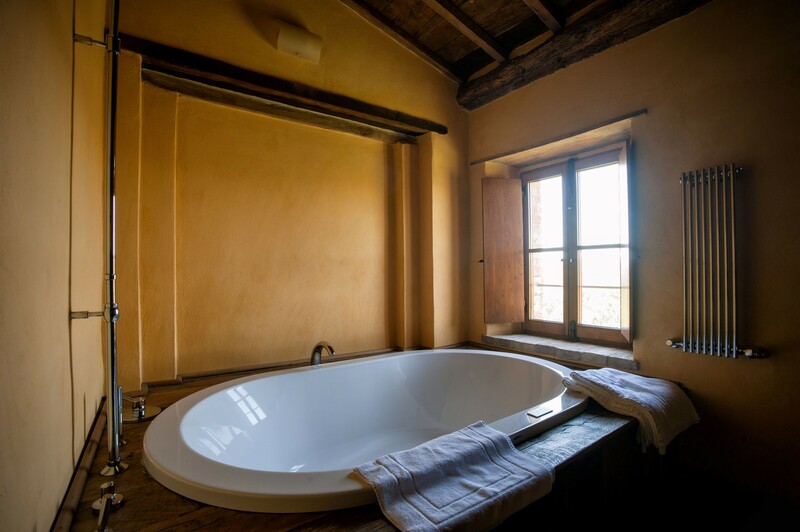 For the ultimate in holiday comfort; why not avail of the available maid service. 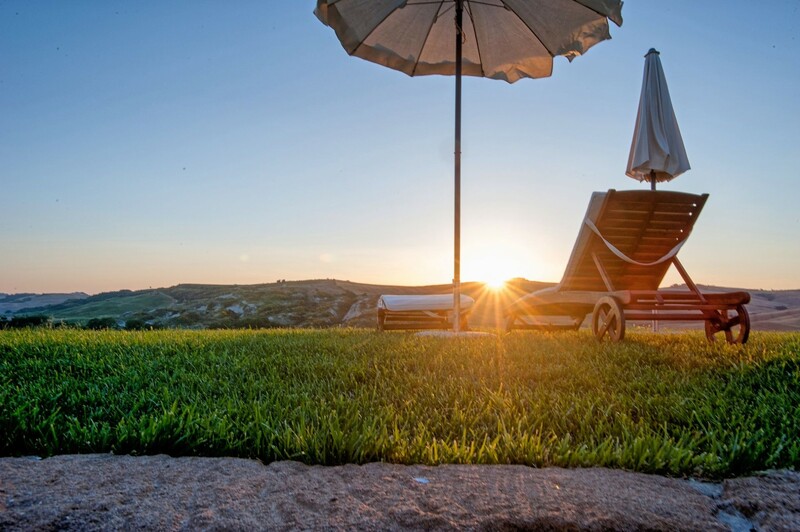 Have the house kept orderly while you relax on a sun lounger next to the pool. 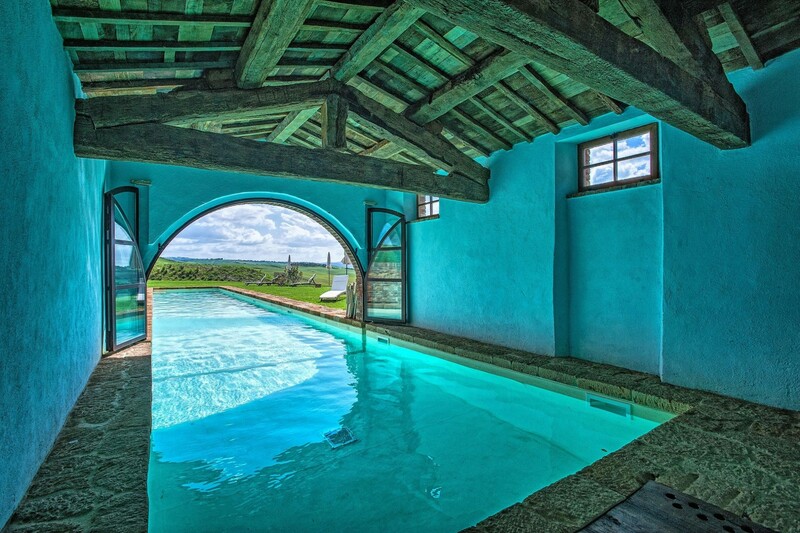 The one end of the pool stretches out into the countryside lined by a classic, Roman style wall , the other terminates within the villa roof, communicating directly with the villa’s luxury interior. 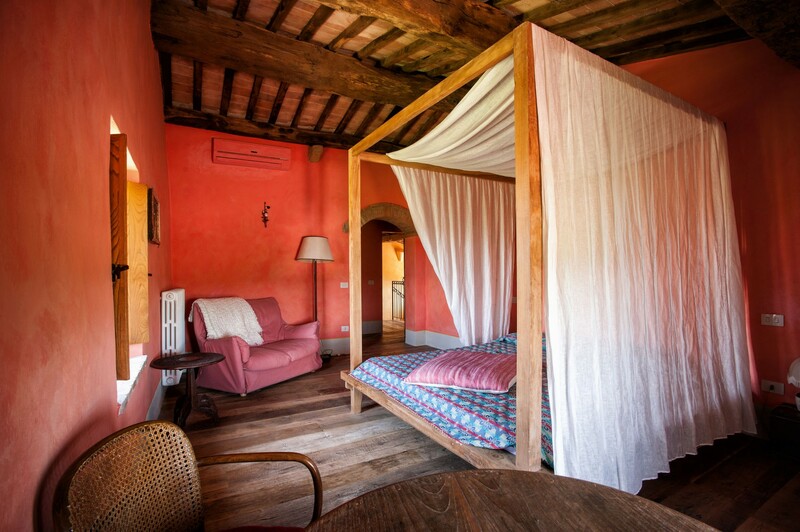 A large hammock in the shade of a copse of trees awaits those who want to lie back and absorb the serene allure of rural Italy. 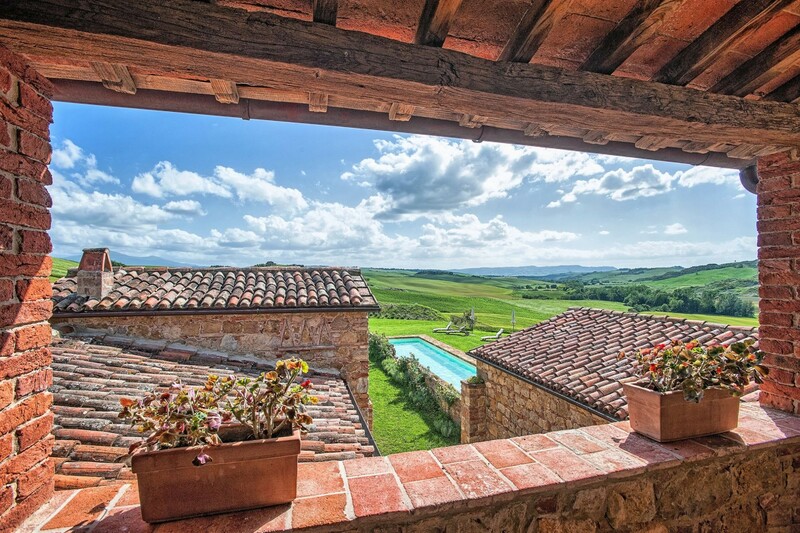 A few kilometres distant lies the tiny Italian Renaissance town (and UNESCO World Heritage Site) of Pienza. 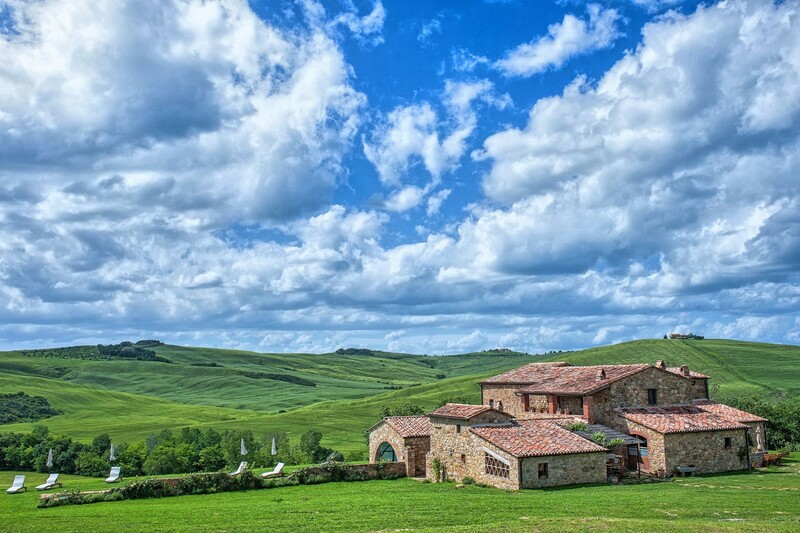 Pienza, the outlet for some of what is quite possibly the finest pecorino cheese in Italy, was the birthplace of Pope Pius II and, on arrival, you become immersed in the rich living history of Tuscany as you pass through the streets that wind between elegant renaissance buildings and piazzas. 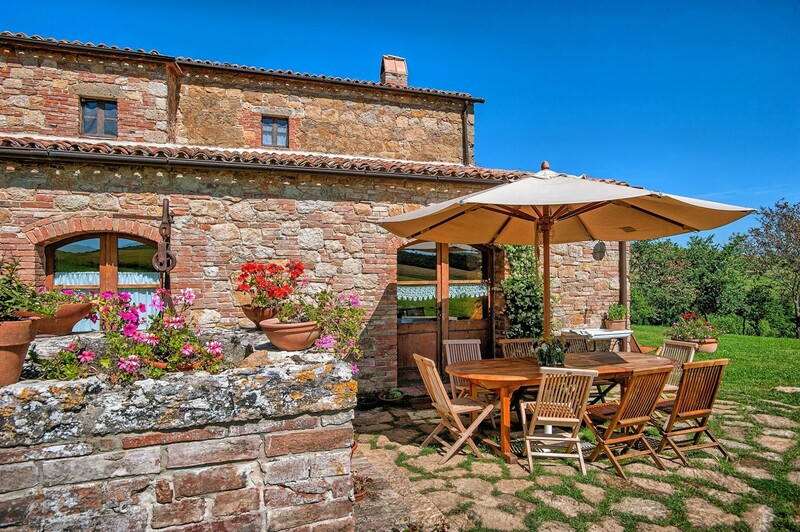 Twenty minutes further to the East of Pienza is Montepulciano. 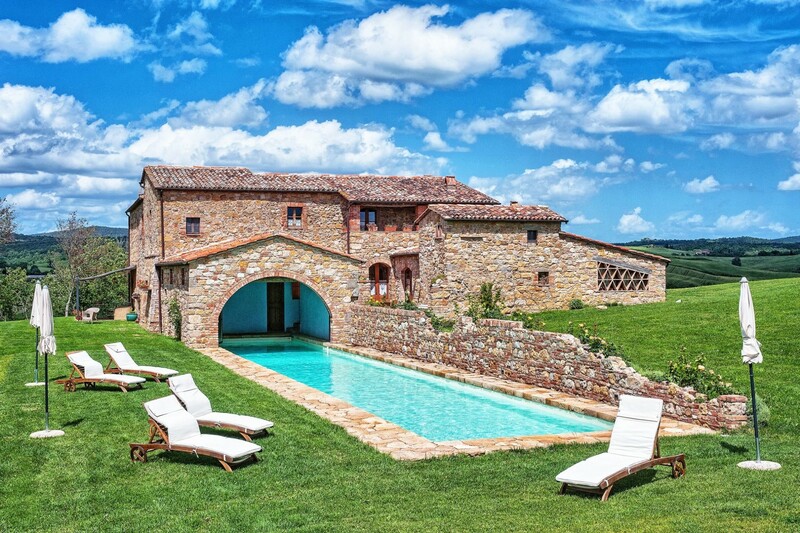 This stunning pedestrian friendly renaissance and medieval town is built atop a high ridge in the hills of Tuscany and is famed for fine wine, meats, and as a centre for gourmet eating worldwide. 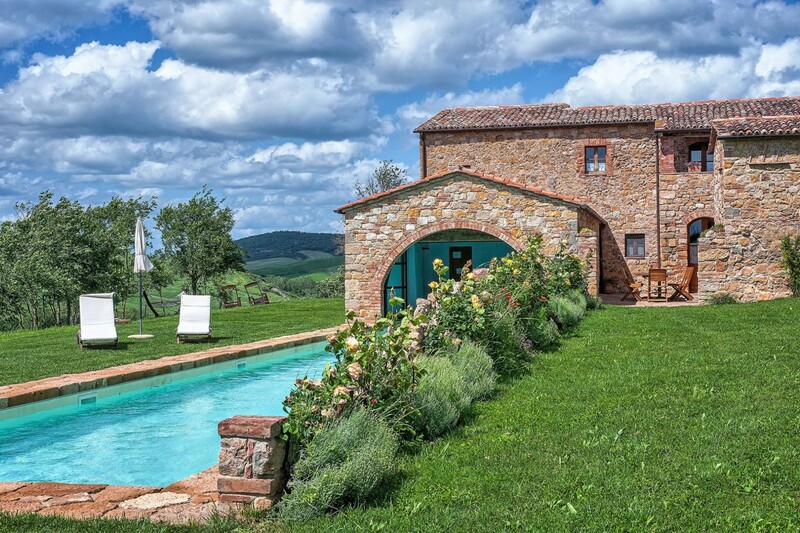 As is so typical of the region; the buildings and villas of Montepulciano are beautiful, the town vibrant, and the landscape magnificent. 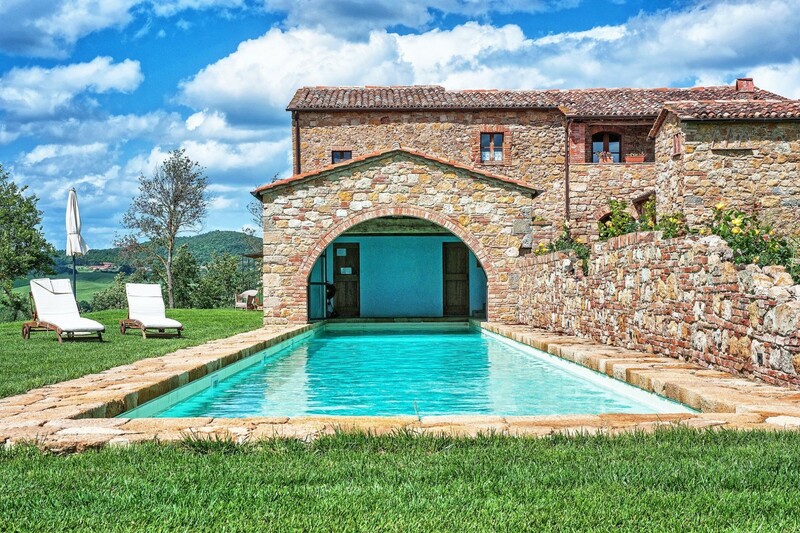 Casale Pienza is one of the most exclusive holiday villas in Italy and is the perfect place to forge unforgettable holiday memories.